The deep waters surrounding Puerto Rico and the U.S. Virgin Islands are some of the least explored in the U.S. Atlantic. Join the mission team from NOAA’s Office of Ocean Exploration and Research and their partners aboard NOAA Ship Okeanos Explorer as they explore these unknown areas and broadcast live video from the ocean surface to the seafloor, now through November 19. 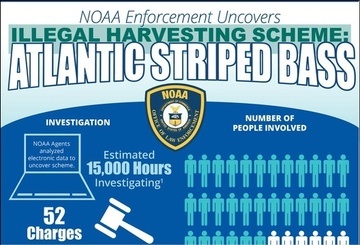 NOAA's Office of Law Enforcement uncovered a conspiracy ring illegally harvesting Atlantic striped bass off the coast of North Carolina. A new infographic describes the investigation. NOAA Fisheries/Smithsonian Institution scientist Dr. Tom Munroe recently received the 2018 Robert H. Gibbs, Jr., Memorial Award in recognition of his outstanding body of published work in systematic ichthyology. 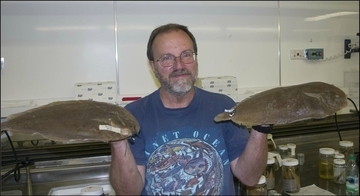 Read a Q&A to learn more about his career trajectory, his specialization in identifying flatfishes worldwide, and his soft spot for winter flounder. 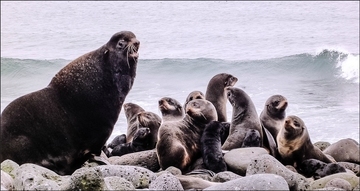 If food is abundant, why is the eastern stock of northern fur seals declining? Researchers from the Alaska Fisheries Science Center and the University of Washington, with support from the Lenfest Ocean Program, are building a suite of mathematical models to synthesize years of northern fur seal observations in hopes of finding the answer. 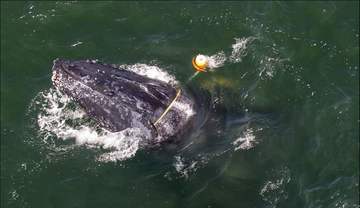 Recent years have seen an increase in whale entanglements off the West Coast. To understand how and where rope and other gear entangles whales and to find ways to address the problem, NOAA Fisheries and the Pacific States Marine Fisheries Commission convened a 2-day workshop in Long Beach, California, in August. The report from that workshop is now available. A new economic study led by the Southwest Fisheries Science Center found that some U.S. consumers may be willing to pay a premium for seafood labeled as “sustainable.” The study tracked the impacts of a staggered roll out of a new seafood label providing details about catch method and country of origin. Through a unique collaboration, fishermen and scientists teamed up to collect information on pelagic shark species off the west coast of the Big Island to inform shark bycatch reduction strategies. Researchers hope these collaborative tagging efforts will provide important stock structure data needed to rebuild shark stocks. 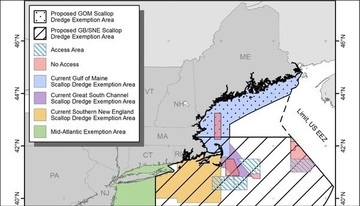 By December 3, please submit your comments on a proposed rule to expand the Great South Channel and Southern New England Scallop Dredge Exemption Areas, as requested by the New England Fishery Management Council. The expanded boundaries would combine the two into a single, larger exemption area. 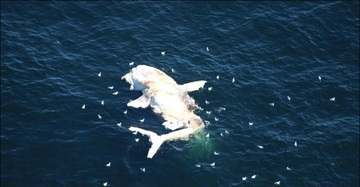 On October 14, NOAA Ship Henry B. Bigelow reported sighting a North Atlantic right whale carcass floating about 100 miles east of Nantucket. After reviewing the data collected from this whale, scientists agree that the probable cause of death was a severe acute entanglement. Last day of the Pacific Fishery Management Council meeting in San Diego. Public webinar hosted by the Marine Protected Areas Federal Advisory Committee about nominations for open seats. Three information sessions on the South Atlantic for-hire electronic reporting program in Florida and North Carolina. Free workshop on law enforcement in federal for-hire fisheries, hosted by the Mid-Atlantic Fishery Management Council in Philadelphia. Two free Protected Species Safe Handling, Identification, and Release workshops in Florida and Louisiana. Informational webinar on 2019 exempted fishing permits and other related permits for Atlantic highly migratory species. Annual public meeting, via webinar, of the Open Ocean Trustee Implementation Group for the Deepwater Horizon Natural Resource Damage Assessment. Four information webinars on federal for-hire electronic reporting in the South Atlantic, hosted by the South Atlantic Fishery Management Council. South Atlantic Fishery Management Council meeting in Kitty Hawk, North Carolina. New England Fishery Management Council meeting in Newport, Rhode Island. Mid-Atlantic Fishery Management Council meeting in Annapolis, Maryland. Nominations due for 11 seats on the Atlantic Highly Migratory Species Advisory Panel. Applications due to attend the U.S. Aquaculture–Gulf Coast Innovation workshop and networking event scheduled for February 2019. 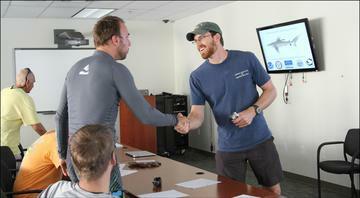 Online application period closes for NOAA’s Teacher at Sea Program. Nominations due for membership on the Marine Protected Areas Federal Advisory Committee. Applications due for participation in the 2019 Atlantic shark research fishery. Nominations due for the 30th Annual National Wetlands Awards.